When they meet, she believes his valley is a myth; he explains about the earthquake that led to the breaking of some of the crystals. However, the remaining crystals are failing and consequently the people are dying. Their only hope of surviving is with his daughter Aria who can return the crystals back to health, but left the valley when her mother decided to leave because immortality without feelings is like death. Laila agrees to help him find Aria. On their quest, they meet dangerous foes including the mountains, but it is the attraction between them that is most lethal; as he begins to learn what immortality's true price is, but to pay the fee of love means leaving his beloved as a widow. Elysa Hendricks's delightful updating of Shangri-La is a beautiful adult fairy tale filled with romance, danger from various sentient species, other obstacles, and a quest filled with spins and detours. Part of the tension comes from the romance as viewers of the final scenes of the classic Capra film The Lost Horizon will wonder if that is how this couple's relationship will end. 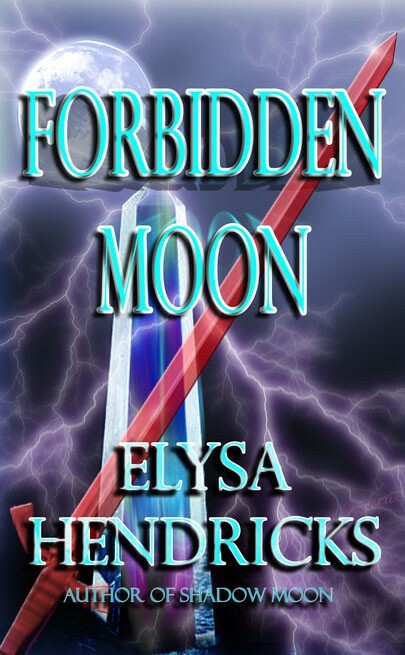 Filled with varying cultures, the return to the Hendricks Moon realm of crystals (see CRYSTAL MOON and SHADOW MOON) is a winner.